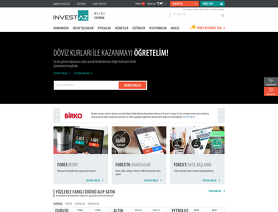 The site is written in Turkish. Investaz is a forex broker. Investaz offers the MT4 and MT5 forex trading top platform. Investaz.com.tr offers over 5 forex currency pairs, cfds, futures, binary option, commodities, shares and bonds for your personal investment and trading options.